How often have you heard someone say, “We don’t see butterflies in the garden these days.”? Female Orchard Swallowtail Papilio aegeus are laying eggs at the moment so you might find some interesting caterpillars feeding on leaves of your citrus trees. 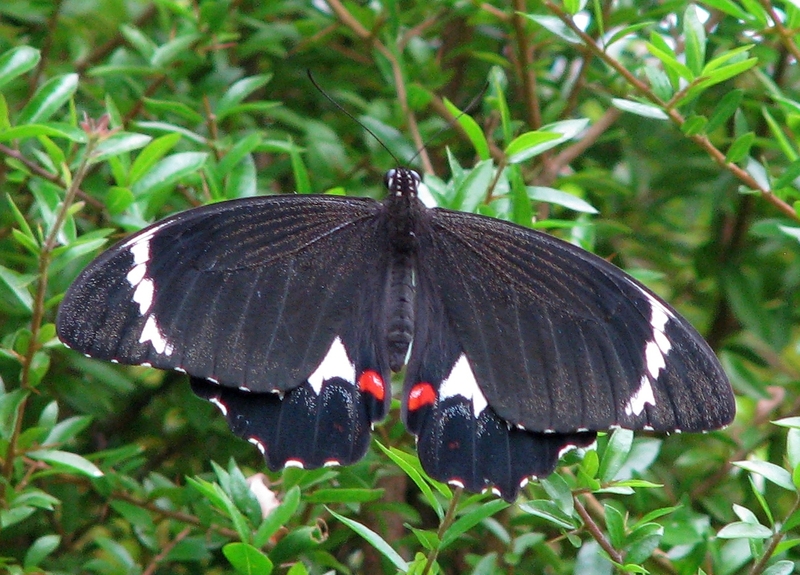 In bushland Orchard Swallowtail butterflies will lay their eggs on Crow’s Ash Flindersia australis which, like our backyard citrus trees, is a member of the Rutaceae family. The first and second stage instars look just like brown and white bird droppings. 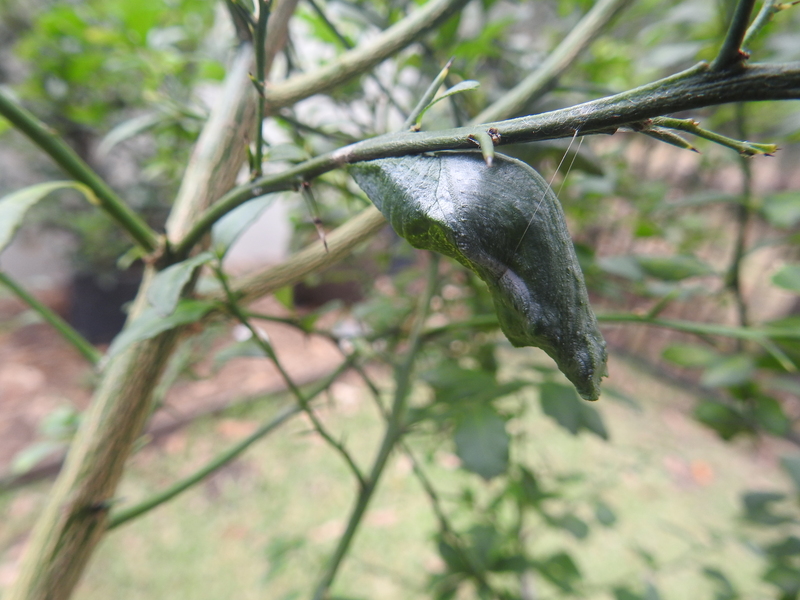 The caterpillars will grow to about 60mm and change to a greenish colour before they from a chrysalis. When disturbed Orchard Swallowtail caterpillars extend bright red osmeterium to frighten off attackers. 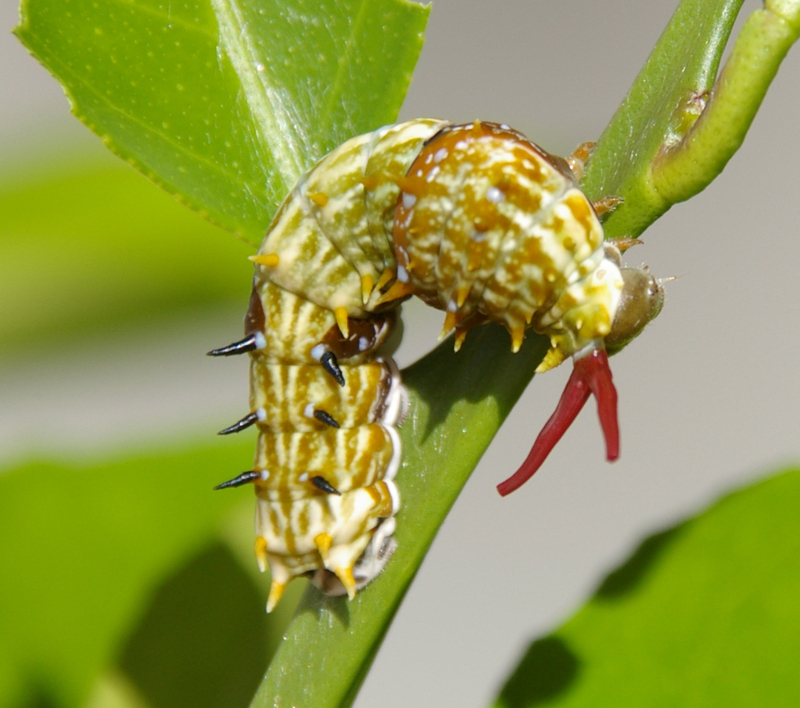 Orchard Swallowtail caterpillars will also feed on leaves of native Finger Limes Citrus australasica. Look for the silk threads suspending each chrysalis. You can welcome butterflies to your Pollinator Link garden by choosing the food plants required by their caterpillars and, importantly, avoid pesticides and instead invite insect eating birds to manage the caterpillars in your garden. There are a number of good “eco-products” that have minimum impact on wildlife like Ladybirds and Bees. 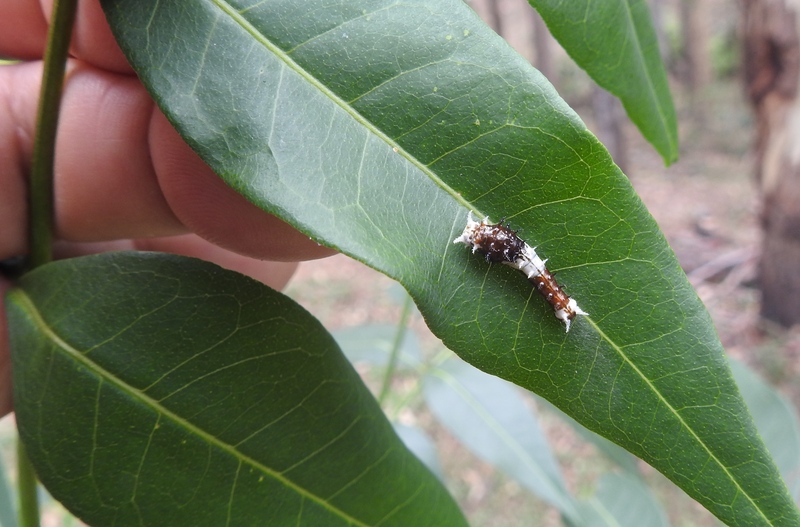 These products are only ingested by caterpillars that eat the leaves and sap-sucking insects like Common Gum Tree Shield Bug Poecilometis patruelis. You will be free of sap-suckers, however, it also means you will kill your butterfly caterpillars by starvation, carbon dioxide poisoning or dehydration. If you have sap-sucking insects on your citrus consider simply hand picking them off – be sure to wear gloves to avoid getting the stink on your hands. 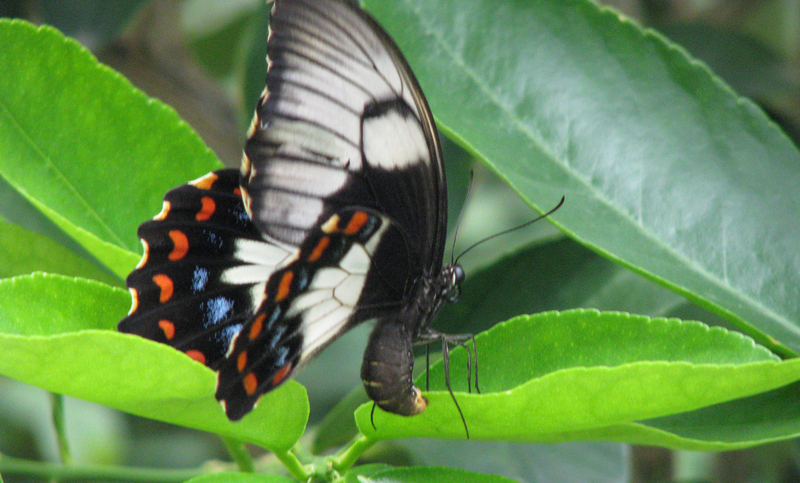 Remember, chewed leaves mean more butterflies like the handsome male Orchard Swallowtail. 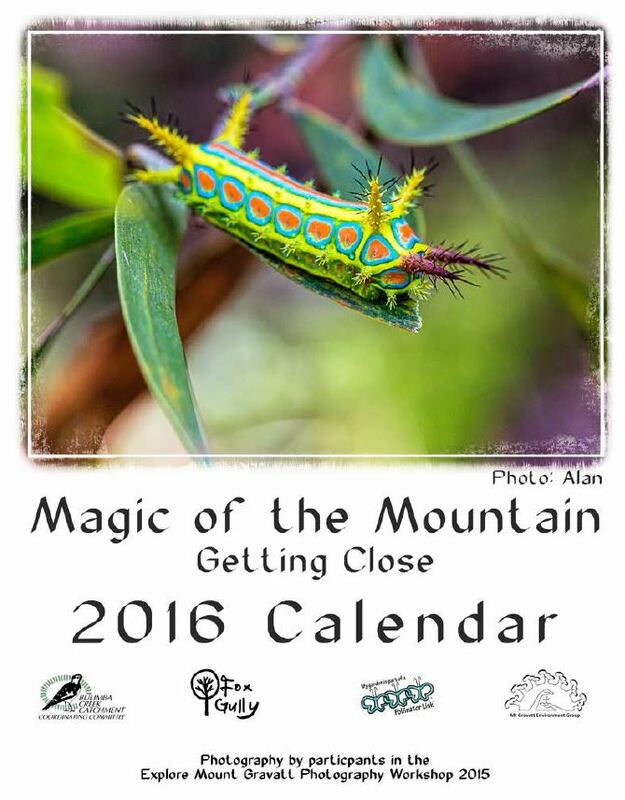 This entry was posted in Bees, Bushcare, Pollinator Link and tagged caterpillar, chrysalis, Common Gum Tree Shield Bug Poecilometis patruelis, Crow's Ash Flindersia australis, Female Orchard Swallowtail Papilio aegeus, Finger Limes Citrus australasica, osmeterium, Rutaceae. Bookmark the permalink. 3 Responses to Love butterflies? Host caterpillars! I love seeing the red tentacles on these caterpillars! Entomology is often better than science fiction.